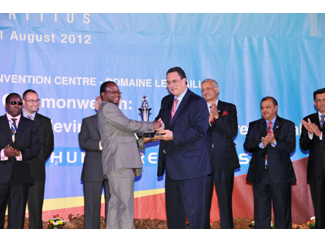 ADPP-Mozambique wins 'The Steve Sinnott Award for Commonwealth Teachers', granted under the 18th Conference of Commonwealth Education Ministers, which runs through Aug. 31 in Port Louis, Mauritius. The director of Nametil EPF, in the province of Nampula, Silvestre Montinho, has been commissioned to collect the award from the Prime Minister of Saint Lucia, Kenny Anthony. The goal of these programs is the training of teachers in order to achieve real progress in the education of children in rural areas. Also intended that teachers assume a key role in the progress of the entire community. The programs, which combine theoretical and practical training, are conducted in collaboration with the Ministries of National Education, contributing to innovation in teacher education. 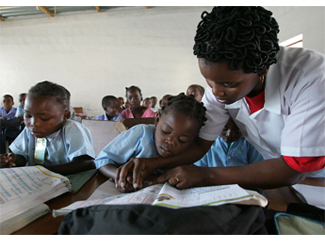 Since 1993, Humana People to People organizations member, which include ADPP-Mozambique and Fundacion Pueblo para Pueblo, has trained more than 18,500 teachers in 35 centers in Angola, Malawi, Mozambique and India.